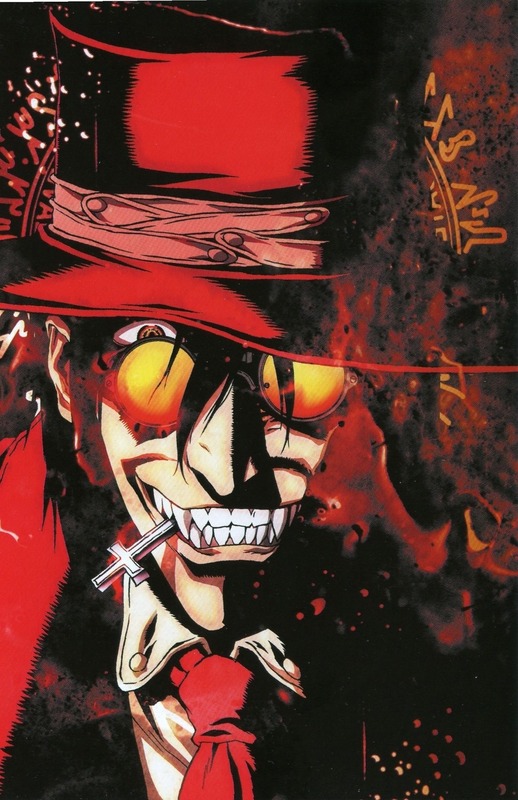 Hellsing began airing in 2001 and is based on the manga of the same name that was written by Kouta Hirano, the show uses the same characters and settings but follows a different plot. This iteration follows Alucard an extremely powerful vampire who is contracted to the Hellsing organisation, running under the lead of Sir Integra Hellsing, a cunning noblewoman. The role of the organisation is to hunt and kill all the creatures of the night who oppose the British crown. During one of his missions, Alucard is fighting against a vampiric priest who is turning several military operatives into ghouls. One of these operatives is held captive by the priest and Alucard is forced to shoot through her to kill the priest. In order to save her life, Alucard bestows onto her vampiric powers and enrols her to become his protege and partner. Together, they, under the command of the Hellsing Organization, must fight against the undead uprising. My Review: I watch this Hellsing after seeing the newer Hellsing Ulitmate and I have to say, this one serenity holds up. At times the dialogue can seem a bit dated and lacklustre as we are used to seeing with the older translation of anime. The story itself is quite good even if it tends to get a bit confusing, especially towards the end. However, the key to this show is the theme and atmosphere. Hellsing has such a dark and gory atmosphere and works, really well. Alucard himself is a true example of what a vampire should be, pure fear and power. But it’s not all dark and brooding, there are several moments of adult humour sprinkled throughout which lightens to mood somewhat. I, personally want a fan of the ending but I won’t spoil it for you, I definitely think you should give it a watch .